Humana on Wednesday unveiled a program to reimburse hospitals for improvement on quality measures related to patient safety, experience and outcomes. The Hospital Incentive Program, which went into effect in January, is Humana's first value-based model that focuses exclusively on hospitals' inpatient admissions. Humana's other value-based programs like the total joint replacement episode-of-care model focus on primary or specialty care. "This is a natural extension of our other value-based models that are already out there," said Ben Lunsford, vice president of value-based strategies at Humana. The program is available to all general acute-care hospitals that have commercial contracts with Humana. 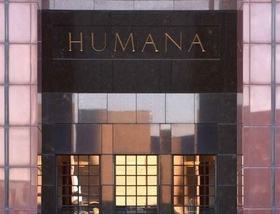 Several hospitals are currently enrolled, but Humana declined to disclose the specific number. Humana will give participating hospitals annual payment rate increases based on how they perform on quality measures over 12 months compared with other hospitals in their region or nationally. The payment rate increase will vary for each hospital. Hospitals will not be penalized if they fail to improve on the measures under the program, Lunsford said. Humana has partnered with the Joint Commission for measures in the program regarding care coordination and palliative care. Hospitals will qualify as meeting performance standards for those measures if they are certified for integrated and palliative care by the accreditor. The Joint Commission entered a similar partnership with Anthem in 2016. Hospitals certified for integrated care can be reimbursed as part of Anthem's incentive program. One hospital has currently achieved the certification, a Joint Commission spokeswoman said. Humana has created its own standards around palliative care and care coordination if a hospital doesn't want to pursue certification from the Joint Commission. Humana's program also uses the 30-day, risk-adjusted readmission rate, risk-adjusted length of stay, follow-up appointments 14 days after discharge and results from the Hospital Consumer Assessment of Healthcare Providers and Systems survey. Hospitals' performance on four infections—central line-associated bloodstream infections; catheter-associated urinary tract infections; and methicillin-resistant Staphylococcus aureus and C. difficile—are used as well. Lunsford said Humana gathered insight from its clinical leaders to decide which measures to include in the program. "We looked at best practices around quality," he said. Humana will update hospitals during the 12 months about their performance on the quality measures. Humana's new program is in line with a broader industry trend: Commercial insurers are heavily investing in value-based payment models because of the potential for savings. The top five commercial payers, which include Humana, have together announced an estimated 184 value-based payer-provider contracts as of August 2017, according to the Health Care Transformation Task Force. The challenge for commercial insurers launching value-based payment models is attracting enough participating physicians and hospitals to make an impact, said Andrew Wilson, research team leader at the Altarum Center for Value in Health Care. Providers participating in the new Humana program will likely only be those who care for a large population of Humana members. "If (Humana) is a smaller proportion of your patients, what's the benefit?" Wilson said. "The investment might not be worth it." Wilson also pointed out that the measures under Humana's program are broad and hospitalwide, which makes them more challenging to improve on. Finally, the hospitals aren't on the hook financially if they don't improve on measures, which mitigates the program's impact for improving quality of care. "At the end of the day, let's be honest, there's no penalty," he said.